Spurtcommerce offers you complete flexibility and scalability, giving you full control on the features in the solution, without any rigidity, for developing an eCommerce web application the way you aspire it to be. Why should I use Spurtcommerce V2.1 instead of other open source solutions? I do agree that Spurtcommerce 2.1 has only the standard basic eCommerce features. What makes this solution unique is the technology stack on which it is built. It is built on the futuristic technologies of NodeJS and Angular. NodeJS is an asynchronous powerful framework that can make an eCommerce application 10x faster than other websites. The end result will be a light weight application that guarantees minimum time for page upload and 0.01 percent downtime. Angular offers an excellent UX/UI with very good user-friendliness, along with a good SEO compatibility. Can you customize and add the features? 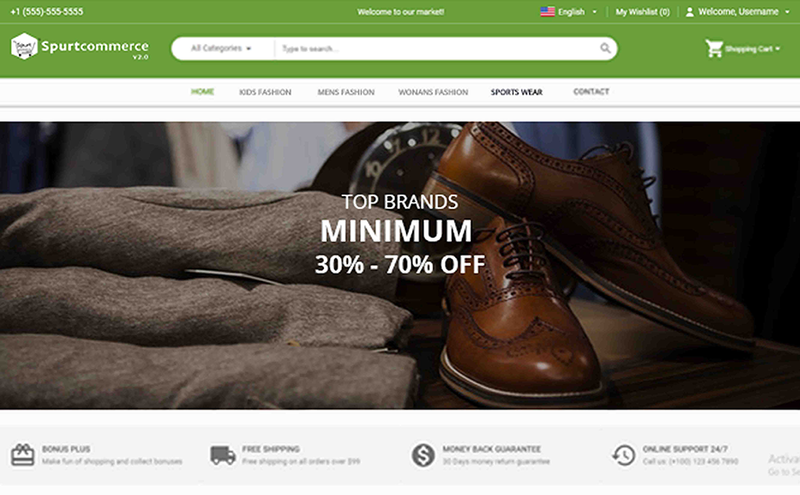 Yes, we do understand that eCommerce requirement of every business owner is unique, while Spurtcommerce 2.1 has only the basic and standard eCommerce features. If your business is unique, we shall take a detailed requirement from you on the features you are looking for. Then, we shall analyze the requirement and provide customization services accordingly. After customization, the final eCommerce product you will be getting will be exclusive for you and we shall not distribute it to any other Customer of ours. For customization services, you may send an email to support@spurtcommerce.com. I own a Physical Store and I want to have an eCommerce website for my business. However, I do not have any technical knowledge? Do not worry that you do not have any technical knowledge, when you are an entrepreneur and a good businessman. You have still landed at the right page. You may use Spurtcommerce 2.1 for getting a robust eCommerce website for your business. The team of Spurtcommerce is always ready to help people with no or less coding knowledge. 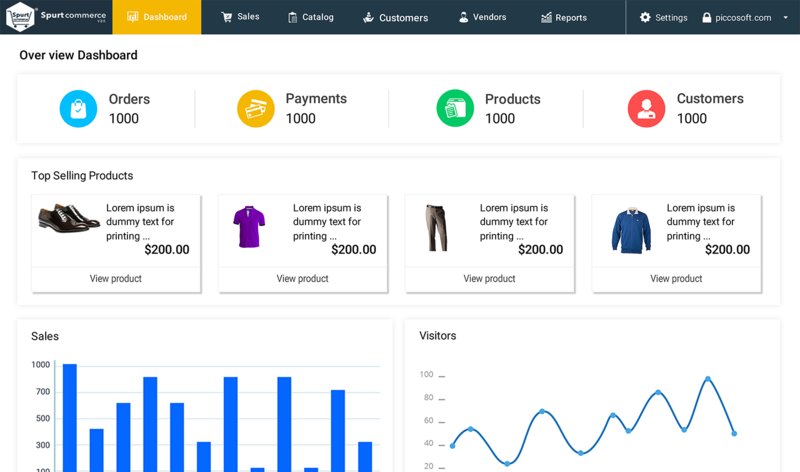 We shall develop a powerful eCommerce application for your business using Spurtcommerce 2.1. For availing our development services, kindly write to support@spurtcommerce.com. Will you be adding new features to the solution in future? We do understand that eCommerce is one of the industries, which has seen a tremendous change in the trends in these years and it is growing at an unprecedented rate all over the globe. We need to be always on our toes when it comes to improving the solution and upgrading the solution with newer and more features to catch up with the latest eCommerce trends. We shall constantly make improvements and bring upgraded versions to the solution. Will the Spurtcommerce solution I have downloaded get automatically upgraded to the newer version, every time when a new version is released? No, the solution will not get automatically upgraded. Whenever there is a release of new and improved version of Spurtcommerce, we shall intimate you on the release through email, along with the link to download and upgrade the existing version of the solution to the new version. Can I make modifications to the solution and sell it? Spurtcommerce 2.1 is a 'Community Version' and this means, it is free to download and free to use, for a cause of making the eCommerce development process faster and hassle-free, among the Developers' community. When you got the solution for free, then, every other person should also get the solution for free, with or without modifications. Selling this solution is strictly prohibited.